Here are how various packers perform on the Pearl for Pigs corpus, as included in LZWVL, the file “bin.rar”. 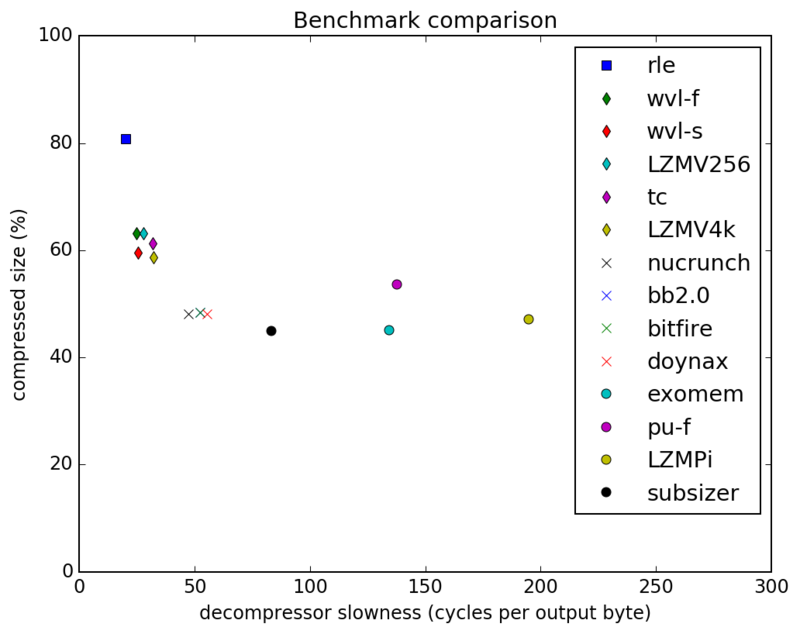 Note that Bitfire and ByteBoozer 2.0 have nigh identical performance, so only one is visible in this plot. Times for subsizer are preliminary (current at 2017-04-06). All file sizes exclusive of unpacker, all times measured in cycles with interrupts disabled and screen blanked. JSON raw data to follow. as measured by WVL, Christopher Jam, MagerValp, Martin Piper, and tlr.